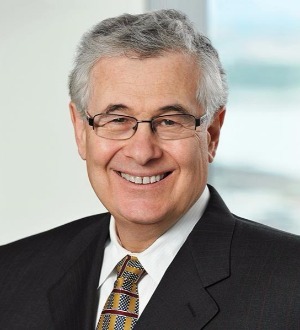 Kenneth A. Plevan, a partner in Skadden’s Intellectual Property and Technology Group, has practiced in the area for more than 30 years. His principal areas of concentration include counseling and litigation involving advertising substantiation, consumer class action lawsuits, trademark infringe­ment, dilution, copyright infringement and intellectual property licensing. GlaxoSmithKline Consumer Healthcare v. Merix Pharmaceutical Corp., No. 05 CV 898 (D.N.J. June, 2005). Five-day preliminary injunction hearing in a false advertising case. On September 13, 2005, the Court issued a 21-page opinion granting the preliminary injunction, and the Third Circuit affirmed. 2006 WL 1792856 (3d Cir. June 29, 2006). Shalor Designs, Inc. v. NBA Properties, Inc., 96 Civ. 603043 (Supreme Court, N.Y. Cty.) Skadden, Arps represented the defendants in a breach of contract claim involving a sublicense of NBA logo apparel. After a three-week trial, the jury awarded plaintiff damages in the amount of $1.5 million, but the verdict was set aside and the claim dismissed when the trial court granted defendants’ motion for judgment as a matter of law. Subsequently, the defense verdict was affirmed on appeal (1st Dep’t., May 27, 1999). Del Monte Corporation v. Del Monte Fresh Produce Co., 98 Civ. 4060 (JSR) (March 1999). Skadden represented the defendant in this case, which involved the plaintiff’s assertion of breach of a trademark license agreement for use of the “Del Monte” mark on fresh fruit. Following a four-day bench trial in March 1999, the court ruled in defendant’s favor on all issues. The CIT Group, Inc. v. Citicorp, 20 F. Supp. 2d 775 (D.N.J. 1998). Mr. Plevan served as co-counsel in a four-day bench trial of a trademark infringement action. The court upheld defendant’s right to use the “Citigroup” mark for the merger of Citicorp and Travelers Group. Cerruti 1881 SA v. Hartmarx Corporation, et. al., 97 CA-0192 (A(H) (W.D. N.Y. 1997). Skadden represented the defendant in this matter, which involved the plaintiff’s application for a preliminary injunction in a dispute alleging breach of a trademark license agreement for men’s designer suits. After a four-day bench trial, the court rendered a 56-page decision in our client’s favor on all issues. Harlem Wizards Entertainment, Inc. v. NBA Properties, Inc., 952 F. Supp. 1084 (D.N.J. 1997). Skadden, Arps represented the defendants in a trademark infringement case challenging the mark “Washington Wizards” for a professional basketball team. After a five-day bench trial, the defendants prevailed. CB Fleet Co. v. SmithKline Beecham Consumer Healthcare, 95-0048-L (W.D. Va.) (June 1996), aff’ d, 131 F.3d 430 (4th Cir. 1997). Skadden represented SmithKline Beecham in a two-day preliminary injunction hearing in Roanoke, Virginia, in a false advertising lawsuit. In June 1996, there was a three-day trial with an advisory jury on the same issues. On the post-trial motions, the court ruled on all issues in favor of our client and the Fourth Circuit affirmed. Albest Metal Stamping Corp. v. OshKosh B’Gosh, 92 Civ. 9172 (S.D.N.Y.) (March 1996). Skadden, Arps represented the defendants on patent infringement charges in a two-week jury trial. The defendants prevailed, with the jury finding the patent to be invalid. The Gillette Company v. Wilkinson Sword, Inc., 1989 WL 82453 (S.D.N.Y. July 6, 1989). Skadden represented Gillette in this false advertising lawsuit. Following a one-day preliminary injunction hearing, the final trial was held in September 1989 and lasted four days. After granting the permanent injunction, the court held an additional two-day trial on the damages issue, and awarded Gillette approximately $1 million in damages against both the advertiser (1991 WL 434526 (S.D.N.Y. Oct. 16, 1991)) and the advertising agency (795 F. Supp. 662 (S.D.N.Y 1992)). McNeilab, Inc. v. Bristol-Myers Co., 656 F. Supp. 1190 (E.D. Pa. 1986). In this false advertising case, McNeil challenged the advertising claim that Nuprin was more effective for headache relief than Tylenol. After a two-day trial, judgment was entered for the defendant. New York Magazine v. The Metropolitan Transportation Authority, 136 F.3d 123 (2d Cir. 1998). New York Stock Exchange, Inc. v. New York Hotel & Casino, Inc., 293 F.3d 550 (2d Cir. 2002). Quick Technologies, Inc. v. The Sage Group PLC, 313 F.3d 338 (5th Cir. 2002). Yougottaeat, Inc. v. Checkers Drive-In Restaurants, Inc., 03-7622 (2d Cir. Dec. 2, 2003). Mr. Plevan repeatedly has been selected for inclusion in Chambers USA: America’s Leading Lawyers for Business and The Best Lawyers in America. He also was namedBest Lawyers’ 2012 New York City Advertising Law Lawyer of the Year.